College students tend to focus more on learning and expanding their minds than staying healthy: lab instead of lunch. Faculty and employees often worry about their job and their mission more than their stress level. Arizona State University is seeking a balance between individual needs and academic or professional needs. A strong GPA or a pay raise should not come at the expense of the digits on a bathroom scale or blood pressure monitor. Toward that goal, ASU is naming Teri Pipe as the university’s first Chief WellBeing Officer. She is charged with creating an environment that supports students, faculty and staff in the idea that they, like all creatures and machines, need maintenance. Pipe, who has served as dean of the College of Nursing and Health Innovation since 2011, will assume the new role while continuing to lead the college. She will report to Searle and to Jim Rund, senior vice president for Educational Outreach and Student Services. Pipe emphasized that wellbeing is dynamic. It means something different for everyone, whether that involves eating, sleeping, exercise, social interaction, quiet stillness or a variety of other elements in university life. For students and employees alike, developing habits that aid wellbeing create positive patterns for the rest of their lives. Pipe joined the College of Nursing and Health Innovation as interim dean in 2011. She is an expert on nursing leadership, interprofessionalism and mindfulness, which is an approach that helps people increase their well-being and performance by being fully present, focused and aware. Her research interests include resilience in professional and clinical populations, health promotion and wellness, positive coping and stress management, oncology and gerontology. • Robert Wood Johnson Foundation Executive Nurse Fellow. • American Association of Colleges of Nursing Futures Task Force. • Mayo Clinic Care Network Chief Nursing Officer Consortium. • Sigma Theta Tau Advisory Council on Excellence in Nursing Education. • Arizona Health Improvement Plan Steering Committee. • Phoenix Business Journal Health Care Hero in 2014. She earned her bachelor’s degree from the University of Iowa, a master’s degree from the University of Arizona and doctorate from Pennsylvania State University. 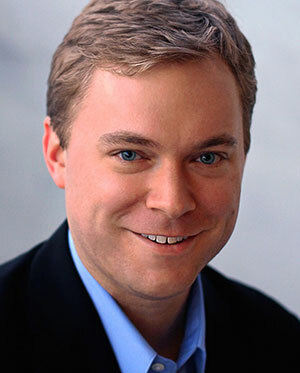 Brian DeMaris, artistic director of Lyric Opera Theatre in the School of Music, was awarded second place for the 2015 American Prize in Conducting: Opera Division. DeMaris received this award for his 2014 performance of "Tosca" with Mill City Summer Opera in Minneapolis.This is the first time he has received the award for a professional production; his first win was in 2013, when he got second place for productions of "Suor Angelica" and "Gianni Schicchi" at Ithaca College.